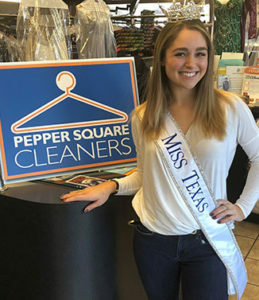 Pepper Square Cleaners helps to make Miss Texas look great! Since our opening in 1979, we have cleaned over 8 million articles of clothing on premises. Along with clothing, we also clean household items such as bedspreads, comforters, and featherbeds. 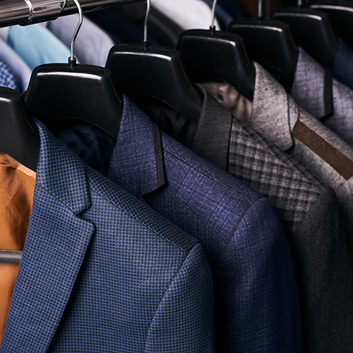 We are your one source cleaners for all your needs: leather, suede and fur-delicate as well as exclusive items such as fur coats, leather bomber jackets and suede pants. 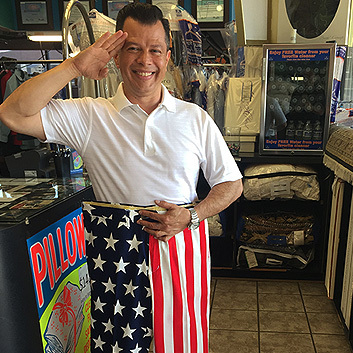 They are always in good hands at Pepper Square Cleaners. 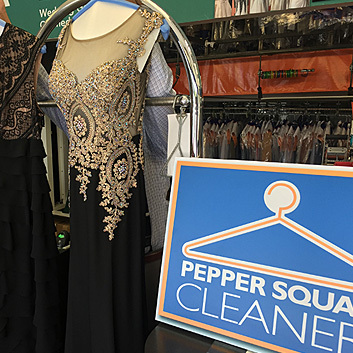 From cleaning to waterproofing to storage… Pepper Square Cleaners (Preston and Beltline Rd.) in Dallas does it all! The City of Dallas has recognized and awarded Pepper Square Cleaners for 25 Years of contributing clean and pressed, ready-for-job-interview clothing to the homeless in Dallas. Click to see the Special Recognition statement here. We highly appreciate this honor and are committed to moving forward in the same spirit of giving and community support we’ve offered here in Dallas where our business began. 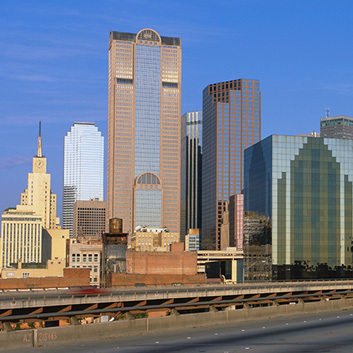 Your business makes it possible for us to continue our work in helping the homeless in Dallas. – THANK YOU! Also offering Alterations, Sheets, Tablecloths, Wash-N-Fold, Button Replacement, Pillow Cleaning, Outdoor Cushion Cleaning, Moth Proof Bags and Much More! Copyright © PEPPER SQUARE CLEANERS | All rights reserved. "Providing Excellent Service and Customer Satisfaction Since 1979"